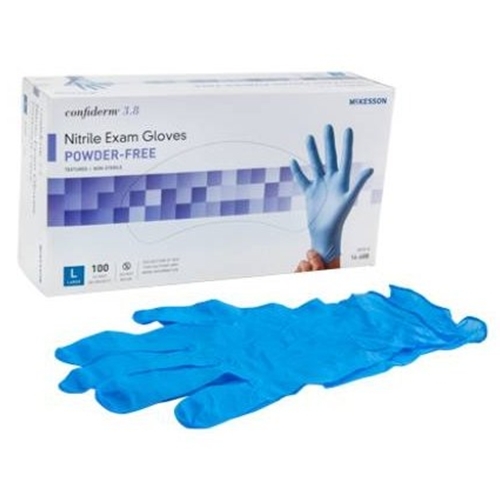 Confiderm 3.8 Powder Free Nitrile Exam Gloves from HealthyKin.com feature textured fingertips that provide excellent tactile sensitivity and dexterity. Improved conformability provides superior fit and extended wear comfort. Great gloves at a fair price! I use them when cleaning, in the kitchen when handling meat, eggs, etc. Even when doing light gardening. This was purchased as a donation for the Wildlife Rehabilitation Center of Northern Utah. The product exactly meets their needs. Use for medical, gardenening, painting and other household uses. Good product, good price. These are my favorite gloves! Use them in my garden, when I paint, when doing art, baking, cutting unions.Bought 1000 in a box, twice! And will buy again! Great fit for small hands! Repeat customer. Reasonably prices and they work very well. Great fit.